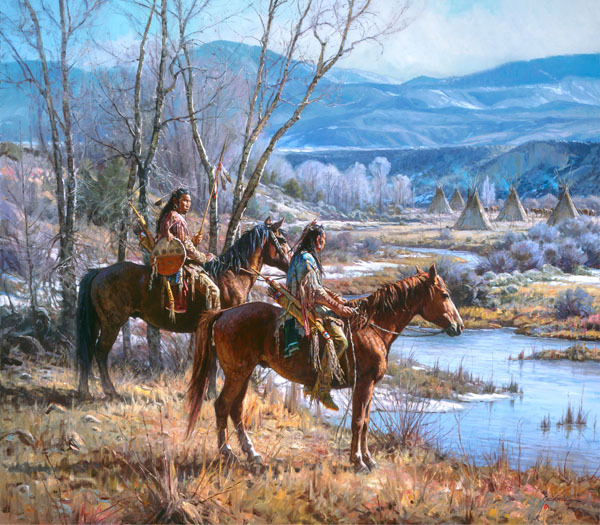 Martin Grelle tells stories of the Native Americans through his canvases. With their camp in the distance, these braves stand sentinel on their horses. The people of the tribe know they are safe with these ever-observant guardians scanning the landscape and ready to warn should intruders be near.